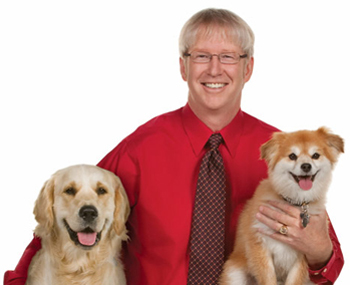 Tripawds is thrilled to welcome Dr. Marty Becker, “America’s Veterinarian,” who has spent his life working toward better health for pets and the people who love them. 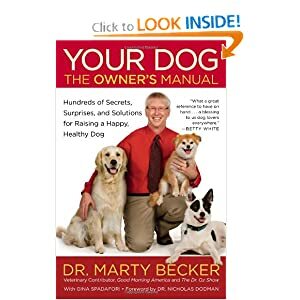 In this episode of Tripawd Talk Radio , we will share information about canine and feline health as discussed Dr. Becker’s popular new books, Your Cat: The Owner’s Manual and Your Dog: The Owner’s Manual. For 16 years, Dr. Becker has been the popular veterinary contributor on ABC’s Good Morning America. He is a founding member of The Dr. Oz Show’s Core Team Oz and a member of the Dr. Oz Medical Advisory Panel. In April 2012, the World Small Animal Veterinary Association named him the recipient of their annual WSAVA Hill’s Excellence in Veterinary Healthcare Award (also known as the Global Companion Animal Veterinarian of the Year). 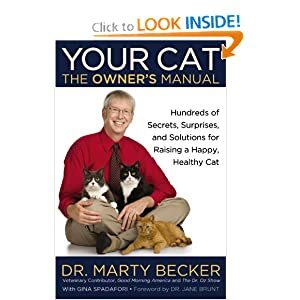 His latest book, Your Cat: The Owner’s Manual: Hundred of Secrets, Surprises, and Solutions for Raising a Happy, Healthy Cat (Grand Central Life & Style) was published in May, 2012. Its bestselling companion, Your Dog: The Owner’s Manual, is now out in paperback. He has written more than 20 books in all, including Chicken Soup for the Pet-Lover’s Soul, the fastest-selling pet-related book in history, and The Healing Power of Pets, a best-seller that’s still one of the most popular pet books in print. He has been a contributor to Parade magazine, Reader’s Digest and AARP.com. Dr. Becker is an adjunct professor at his alma mater, the Washington State University College of Veterinary Medicine, and also at the Colleges of Veterinary Medicine at both Colorado State University and the University of Missouri. Additionally, he has lectured at every veterinary school in the United States, and has been named Companion Animal Veterinarian of the Year by the Delta Society and the American Veterinary Medical Association. He practices, when his schedule allows, at two veterinary hospitals in north Idaho because he loves veterinary medicine, pets and the people who care for them. Many thanks to Dr. Marty Becker for an informative episode of Tripawd Talk Radio ! Cat lovers will especially love this one. If you missed the show, listen to the podcast below and stay tuned to the Tripawds Downloads blog for highlights and important links. Hear all past podcasts here.